Dianna Marisol Santillano is an L.A. based art historian. She has taught widely at various college campuses with her most recent appointments at California State University, Los Angeles and Long Beach City College. Her essays have been published in both academic and museum publications, and include: Extreme Gestures and Sublime Provocation in the Performative Art of Daniel Joseph Martinez: More Human than Human Photographic Cycle, A Nietzschean Ode, 2013 (Anthology “Art and the Artist in Society”); The Estrada Court Murals, 2011 (in “Pacific Standard Time: Art in LA, 1945-1980. Getty Research Institute). 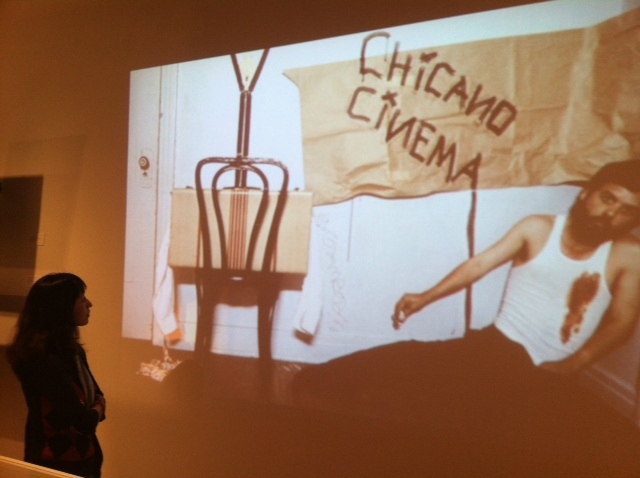 Her current research interest focuses on the cinematic photographic series No Movies by Chican@ art group ASCO and developing a performative pedagogy.